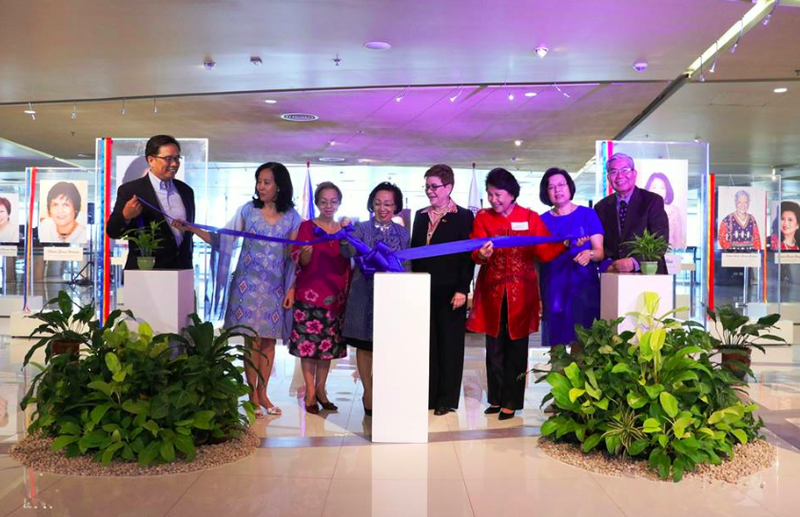 In celebration of the Women's Month, the Libraries hosted "Women in Diplomacy: Do Women Make Better Diplomats?" on 23 March 2018 (Friday) at 1:00 PM at The Learning Commons, 6th floor, Henry Sy Sr. Hall. 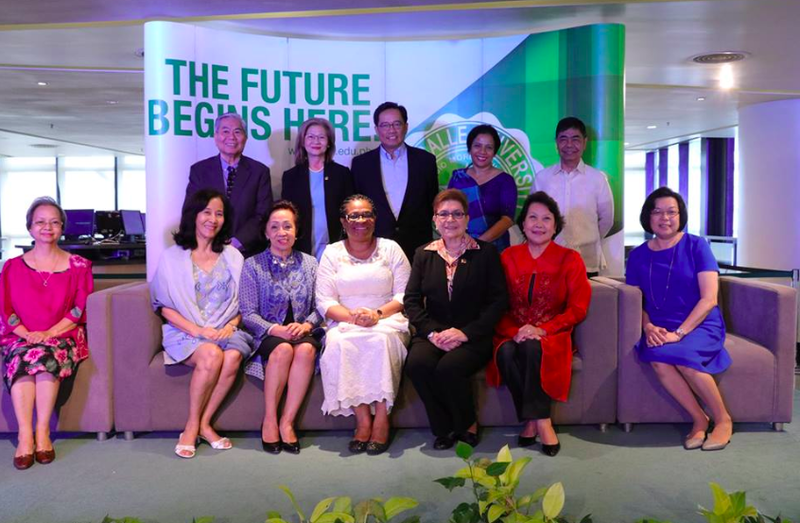 This is the second in the Diplomatic Dialogue series spearheaded by Ambassador Delia Albert (the first Diplomatic Dialogue was held last 31 March 2016), in partnership with the DLSU Libraries and the Department of Foreign Affairs. 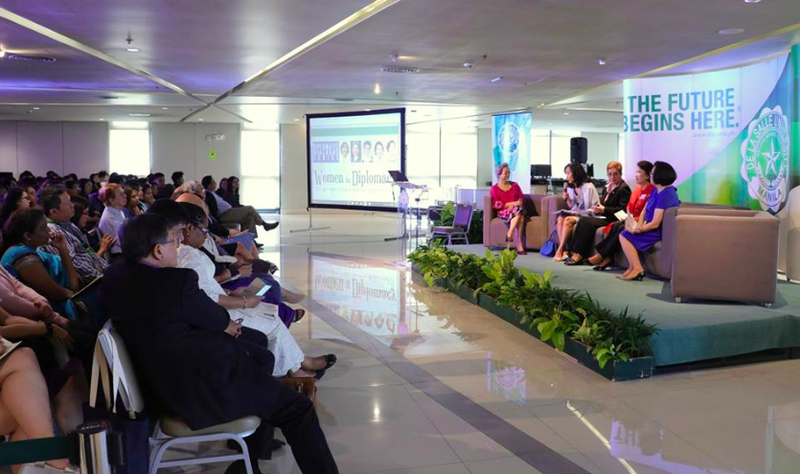 Women in Diplomacy is a venue for women diplomats where they can share and openly discuss about their insights and colorful journey as they carry out their diplomatic duties. 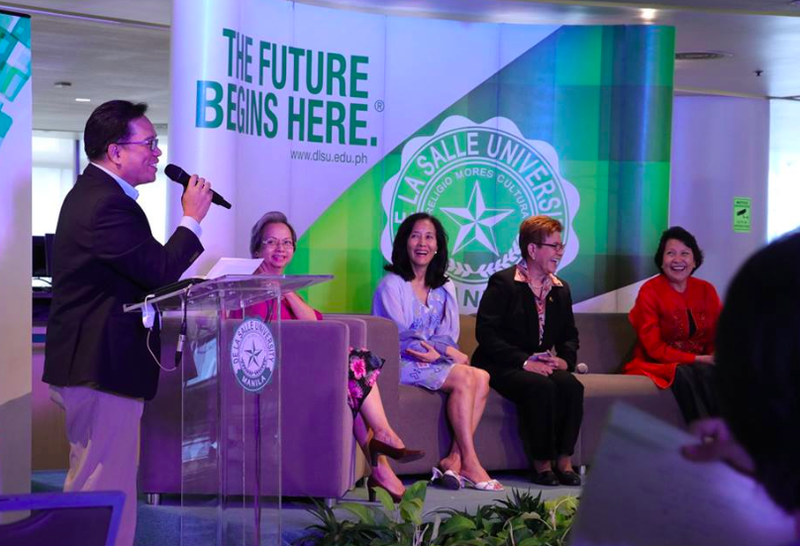 For the second session, discussants were four distinguished lady ambassadors of the Department of Foreign Affairs who generously talked about the challenge theme – Do women make better diplomats? In attendance were Ambassador Belen Anota, retired Ambassador Extraordinary and Plenipotentiary Canberra PE (2011-2015), Singapore PE (2004-2008), Tel Aviv PE (2002-2004); Ambassador Linglingay Lacanlale, Undersecretary for Administration (2014-present); Ambassador Cristina Ortega, retired Ambassador Extraordinary and Plenipotentiary Paris PE (2011-2014), Brussels PE (2006-2010), Canberra PE (2004-2006); Ambassador Cecilia Rebong, retired Permanent Representative Geneva PM (2013-2016), New York PCG (2003-2011); and Ambassador Melita Sta. Maria-Thomeczek, retired Ambassador Extraordinary and Plenipotentiary Berlin PE (2015-January 2018). Students and faculty members from the De La Salle University and De La Salle-College of Saint Benilde participated in the discussion and had the opportunity to engage with our distinguished discussants and guests after the event. 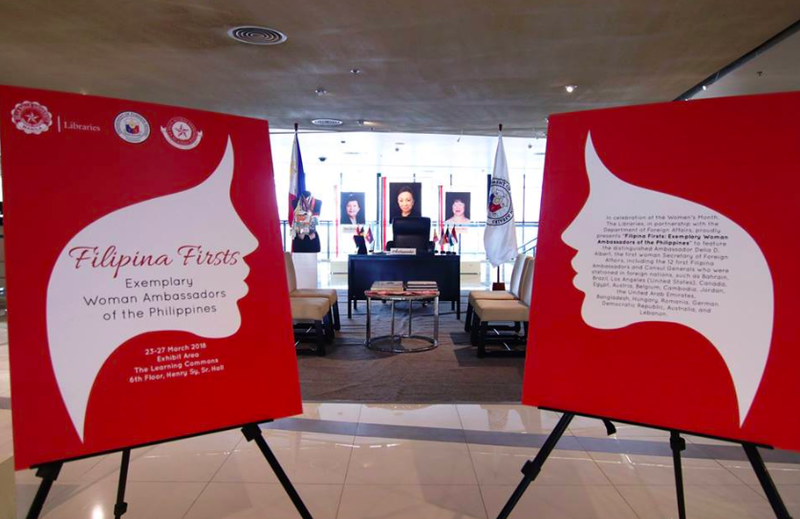 Alongside the Dialogue was the exhibit entitled, "Filipina Firsts: Exemplary Women Ambassadors of the Philippines", which featured twelve distinguished Filipina Ambassadors and Consul Generals, including Ambassador Delia Albert (first woman Secretary of Foreign Affairs), who were delegated in foreign states: Bahrain, Brazil, United States (Los Angeles), Canada, Egypt, Austria, Belgium, Cambodia, Jordan, the United Arab Emirates, Canada, Bangladesh, Hungary, Romania, German Democratic Republic, Australia and Lebanon.